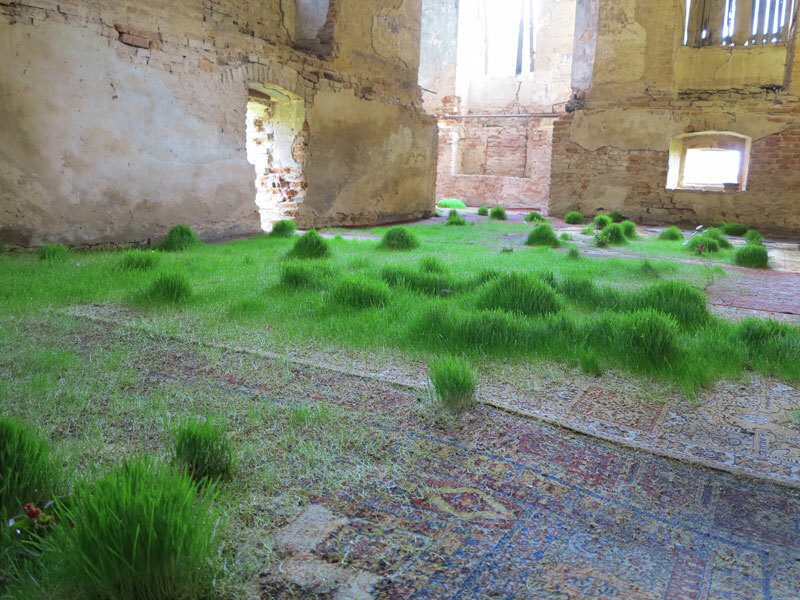 From may to june 2012 i grew grass on rugs in a castle. 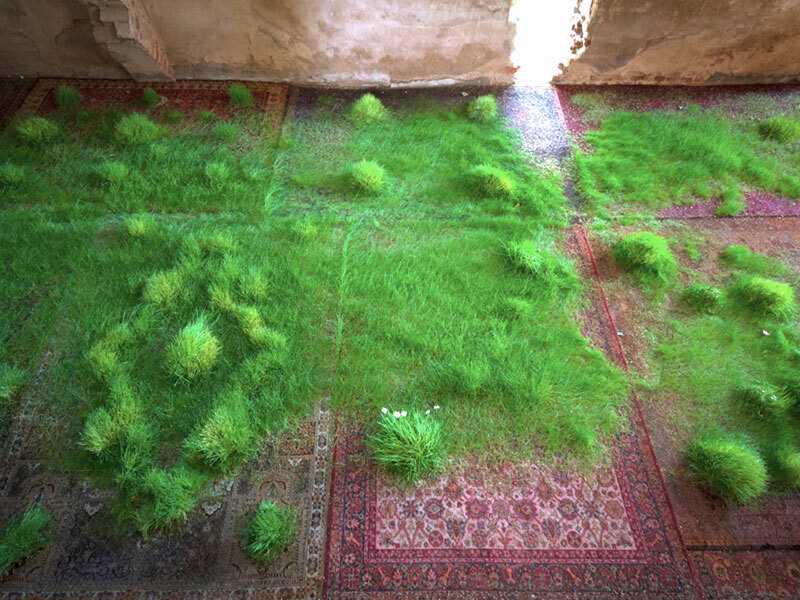 The artist grew several different species of grass on an assortment of valuable rugs. 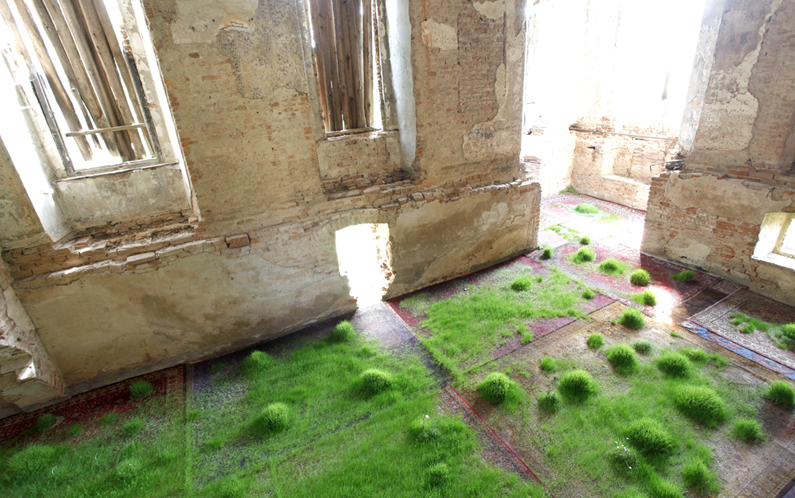 Drawing on the representations of gardens that are commonplace on such rugs, the artist created a literal garden within a wide-open space in a castle. The work’s ephemerality and limited lifespan is matched by its inherently experiential quality—the sensual and time-based aspects of the work, such as the damp smell of the grass and its evolving growth, are difficult to appreciate through documentation. The ambivalence of this gesture recalls the futility that is often at the core of Martin Roth’s work, in which an action can be fruitless—in this case, the grass will die off and the rugs will be ruined.